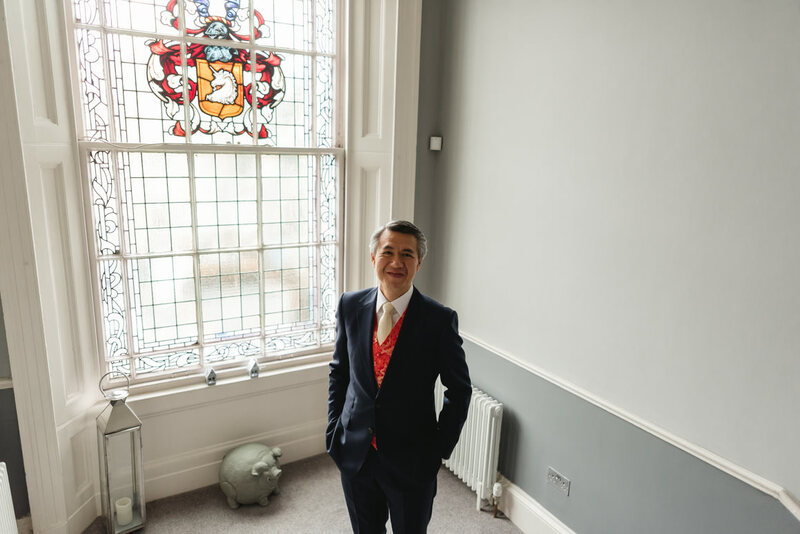 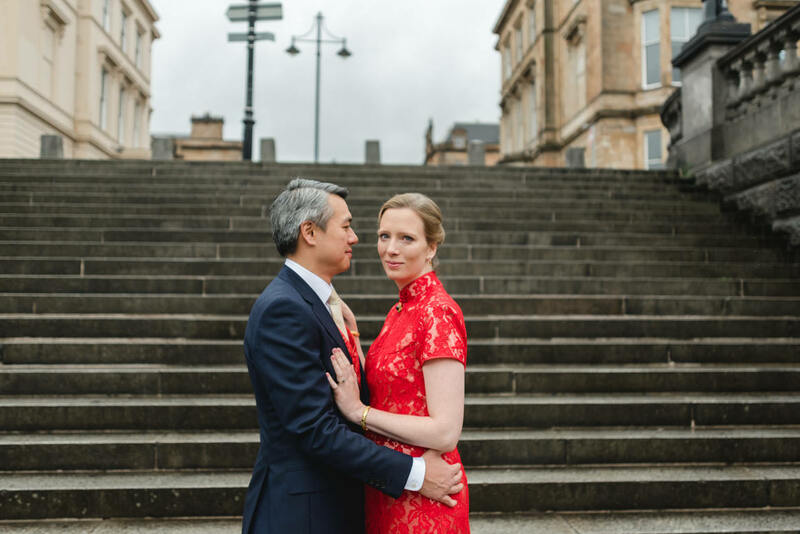 A wet summer Chinese wedding in Glasgow. 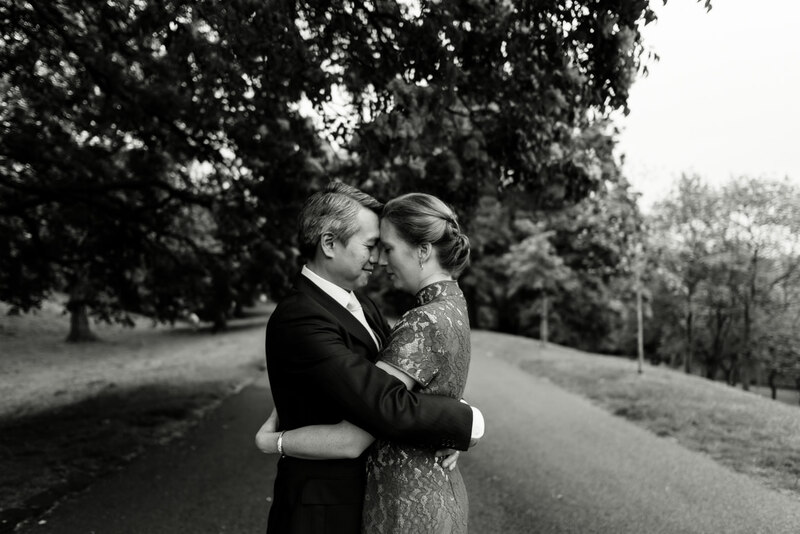 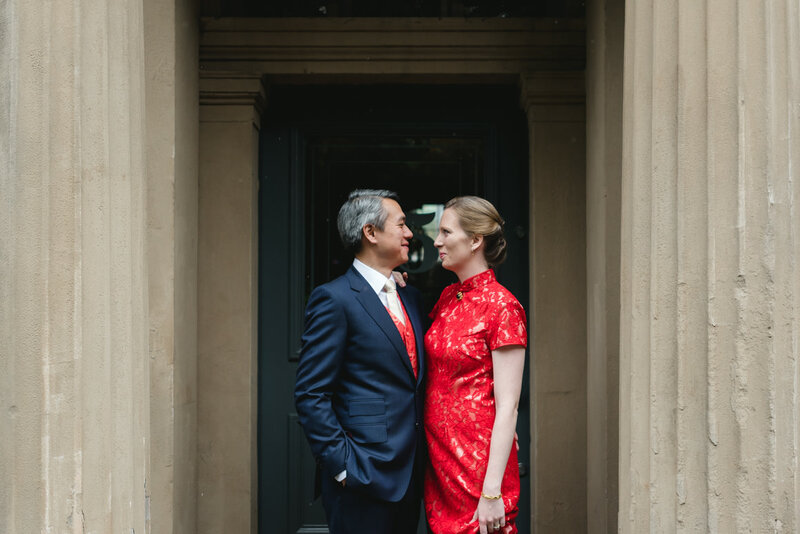 Wai-kay & Hattie married in London before travelling up to Glasgow for their Chinese celebrations. 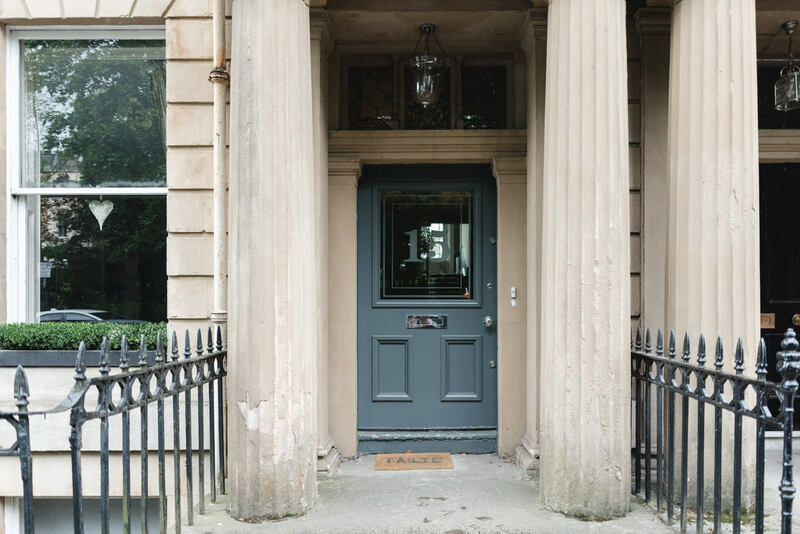 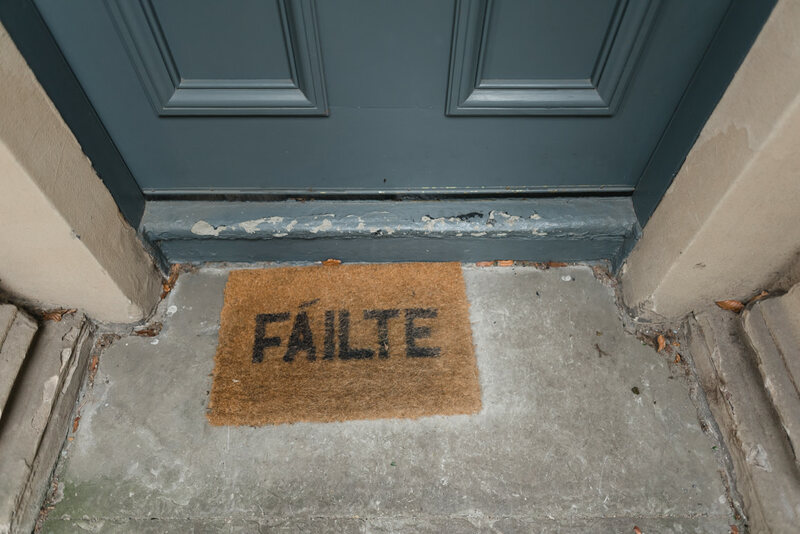 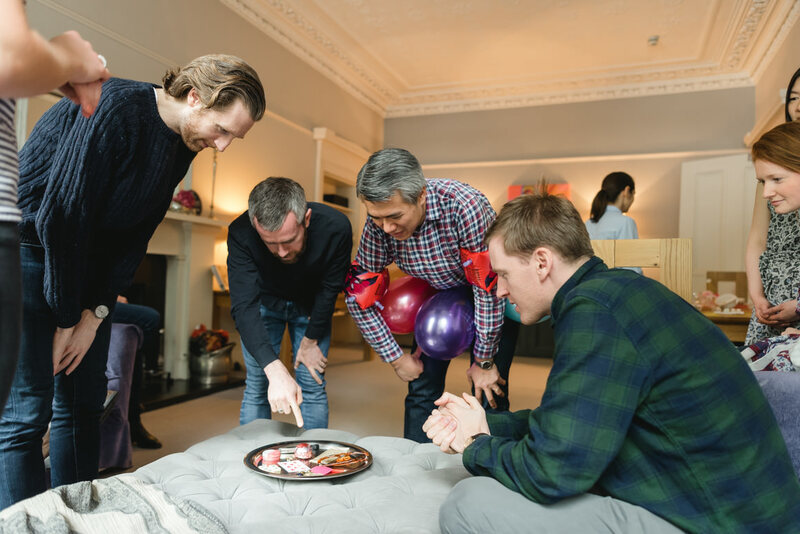 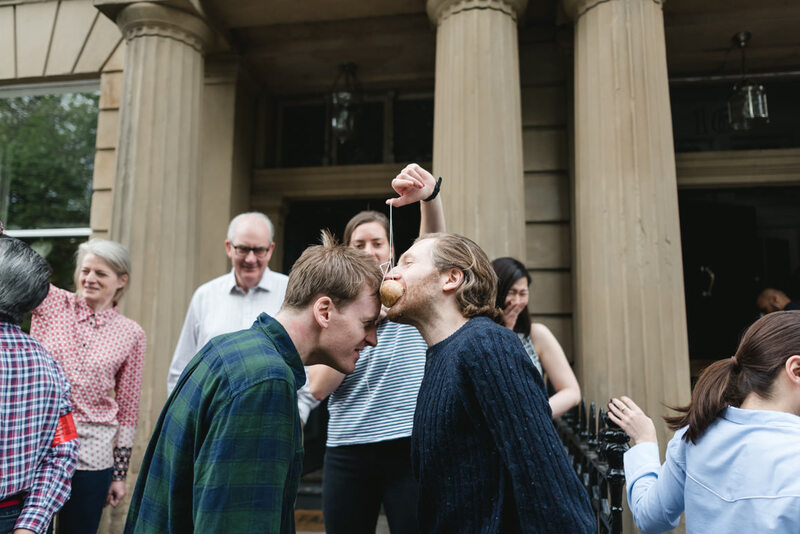 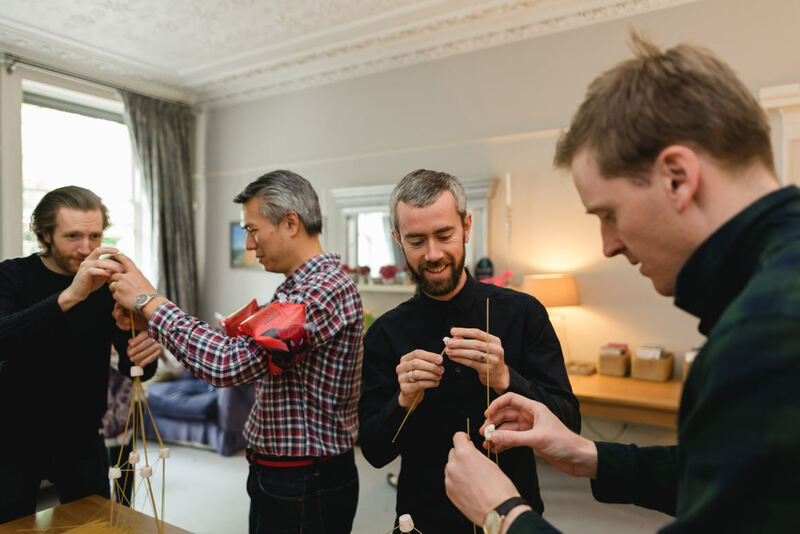 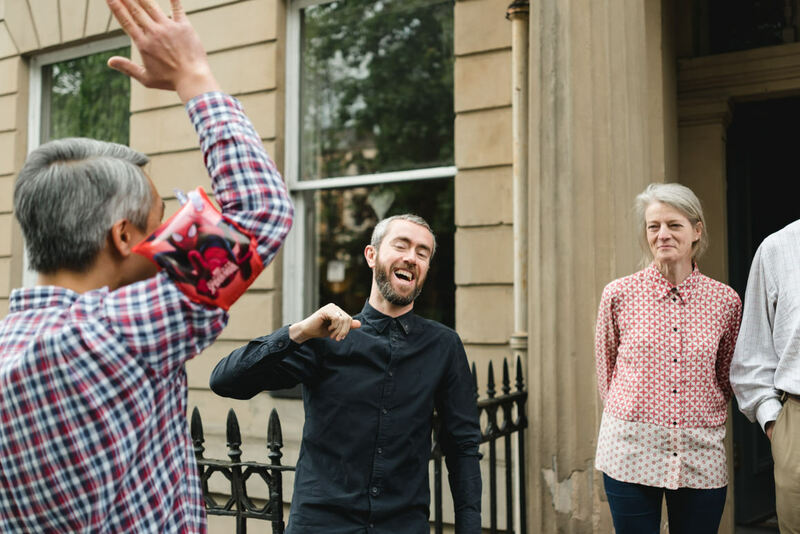 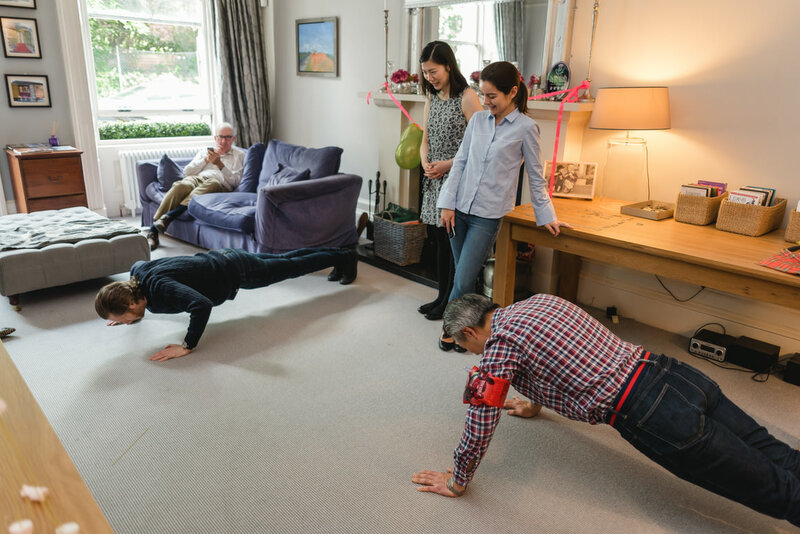 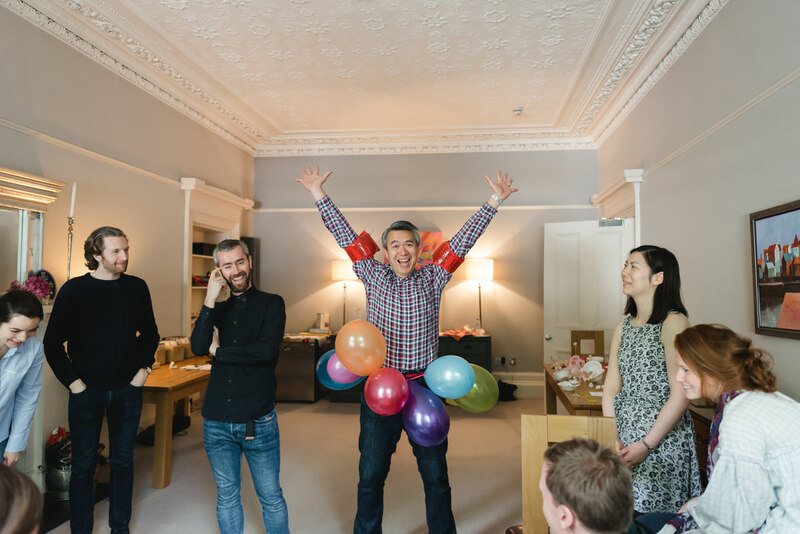 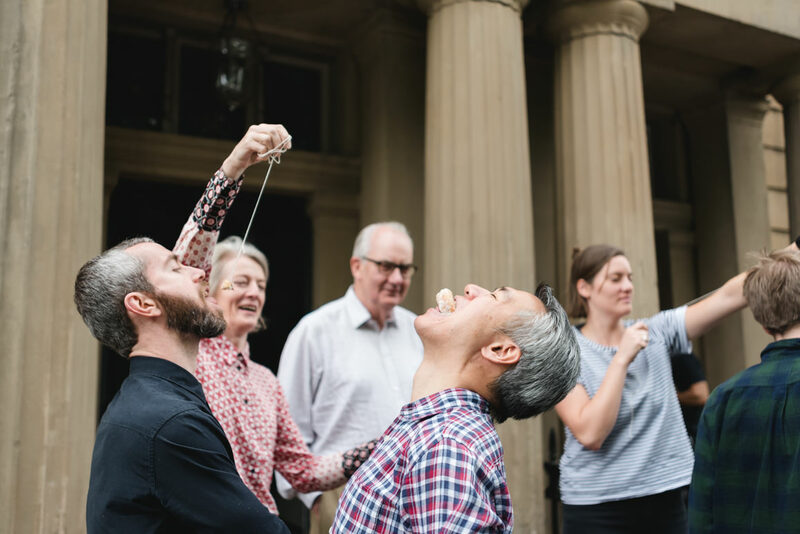 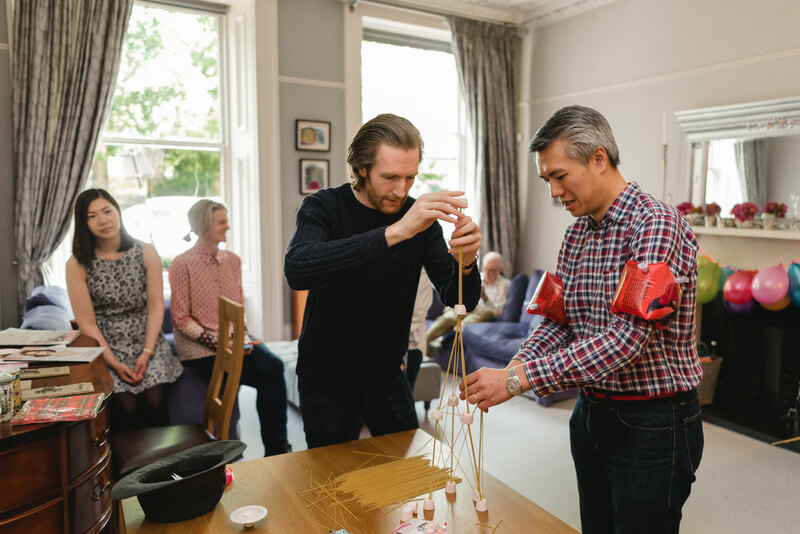 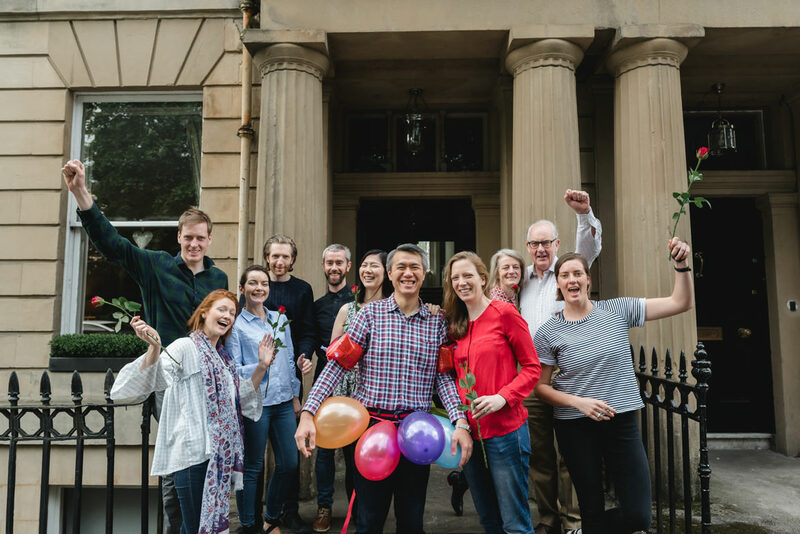 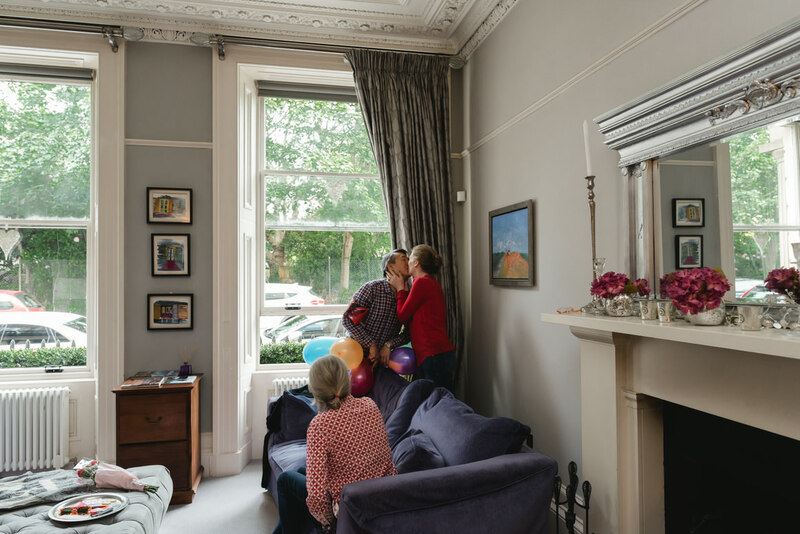 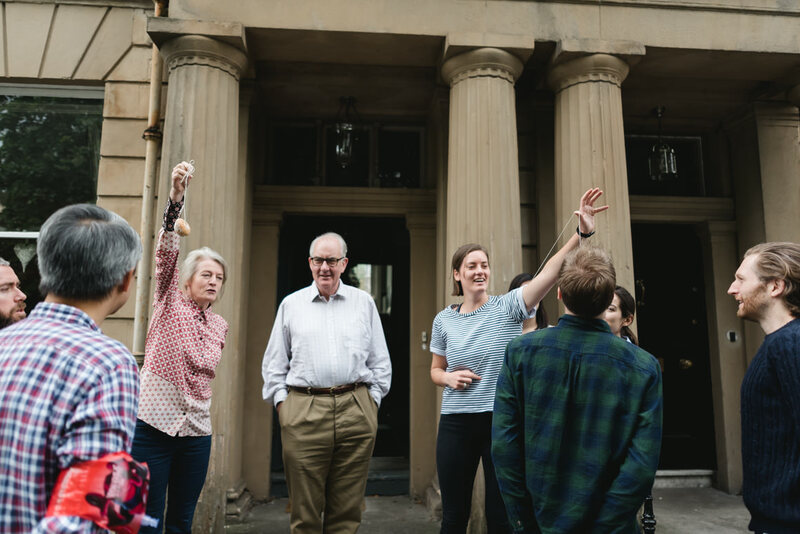 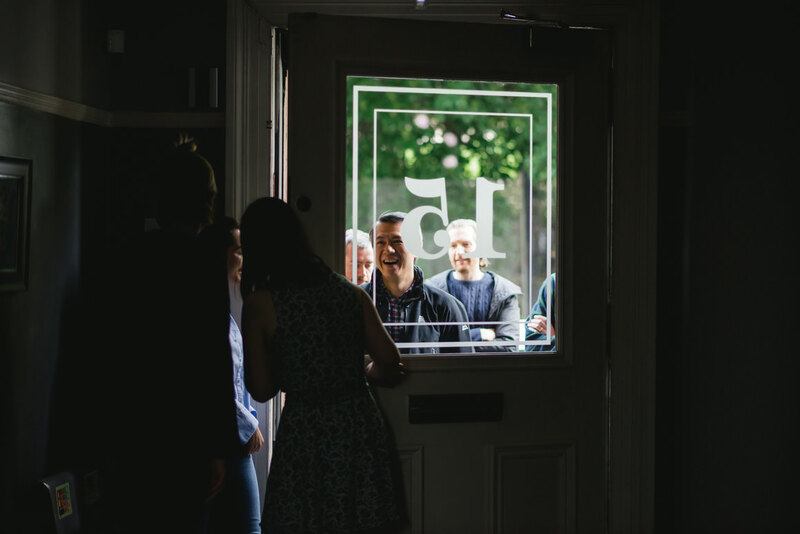 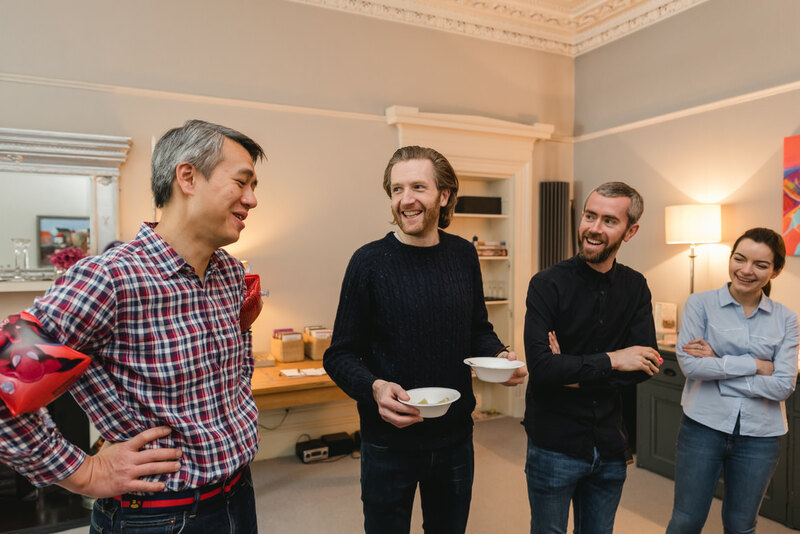 The morning started off with the traditional Chinese door games at 15 Glasgow. 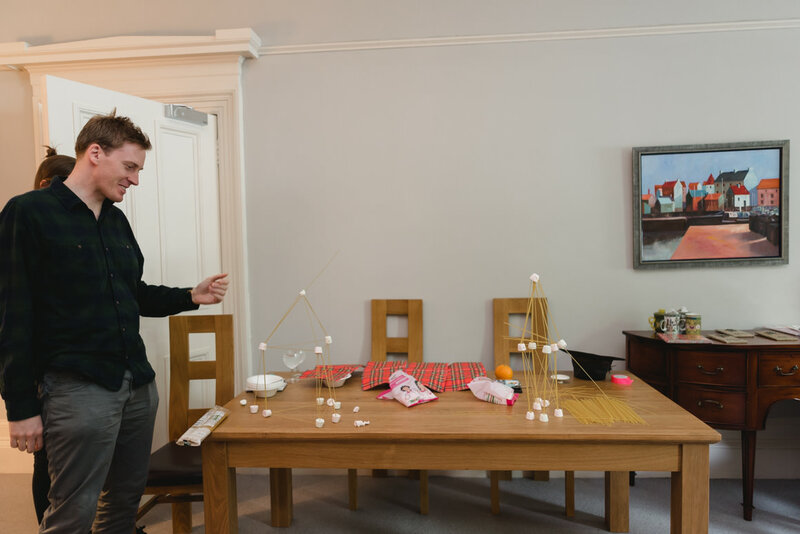 Wai-kay had to complete a series of challenges set by the girls. 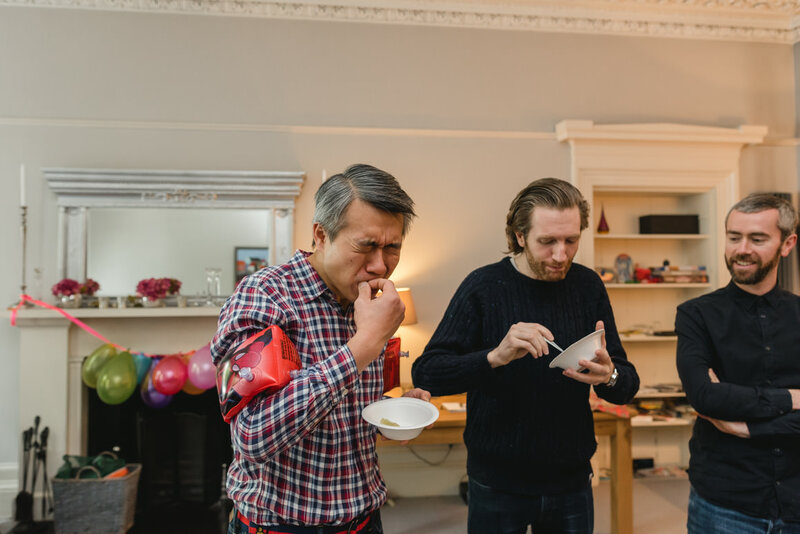 These consisted of donut eating, maths problems, press ups, teddybear rolls and an ample amount of wasabi. 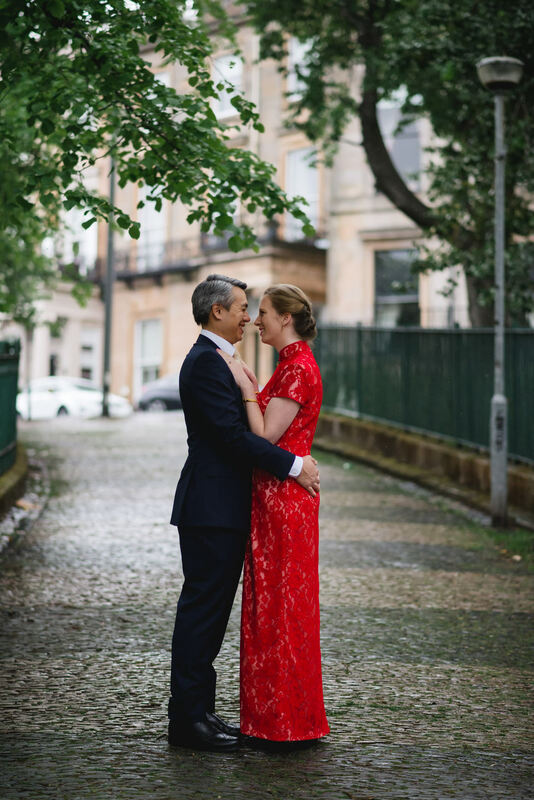 I joined them for a walk in the pouring rain round Kelvingrove Park. 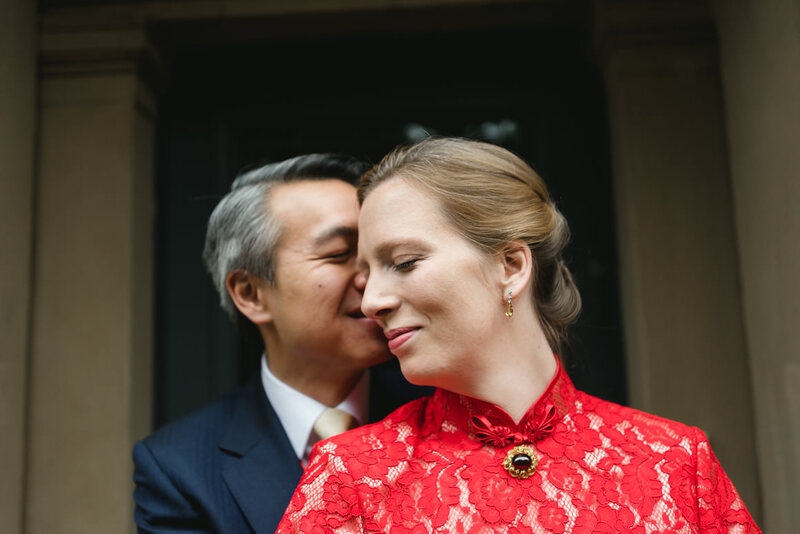 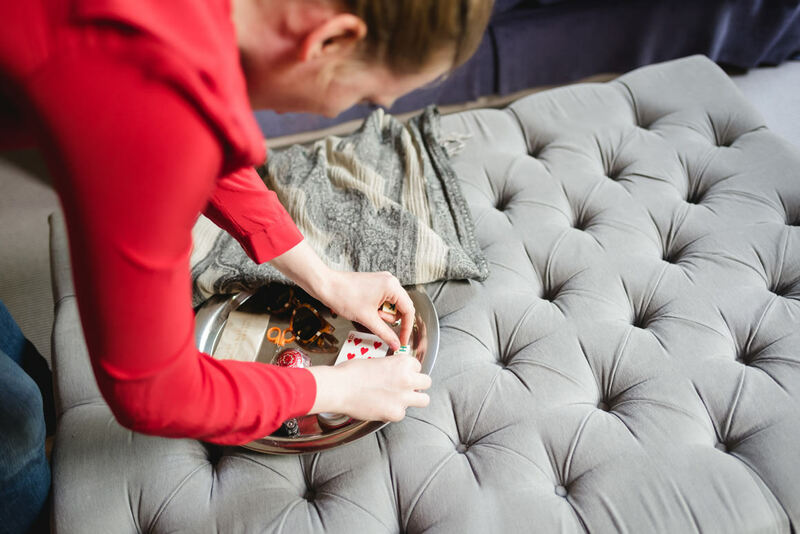 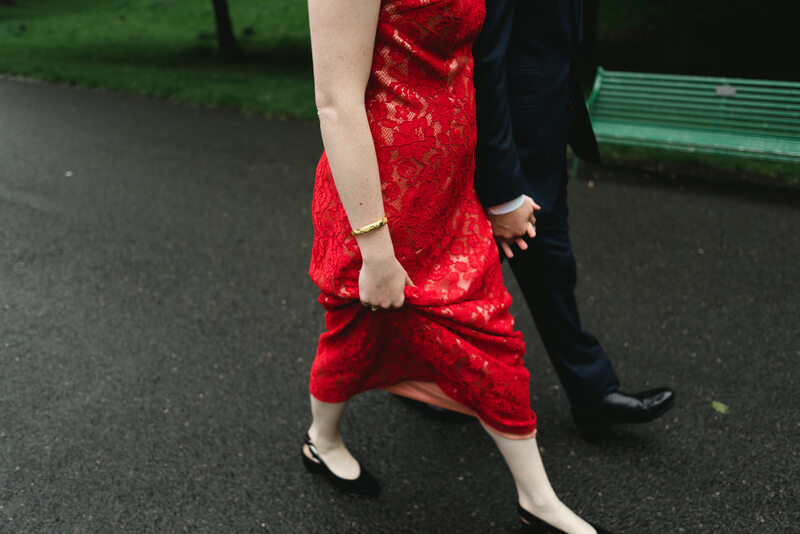 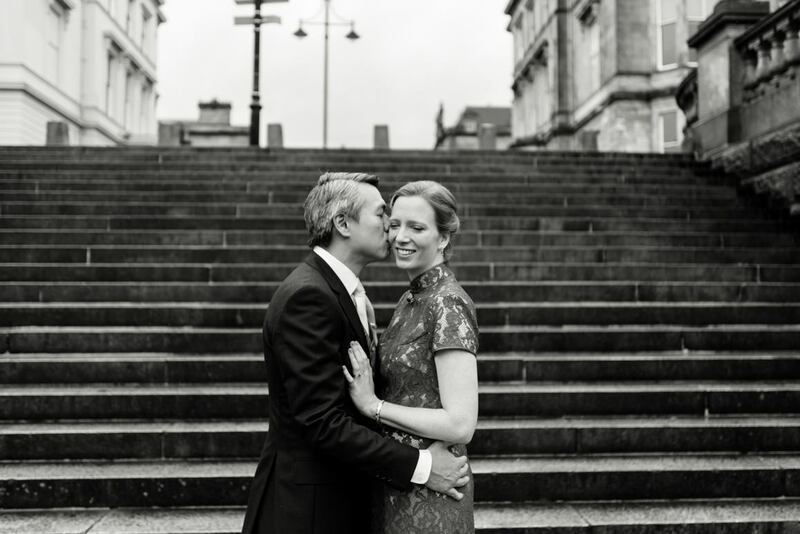 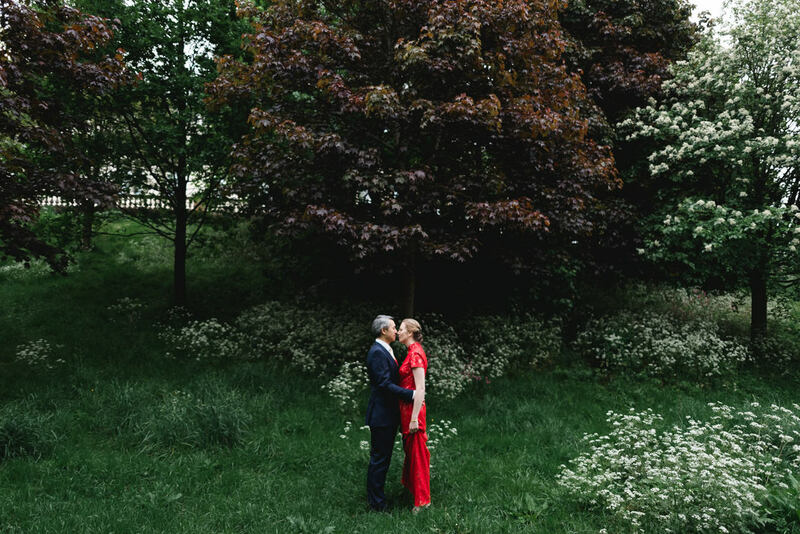 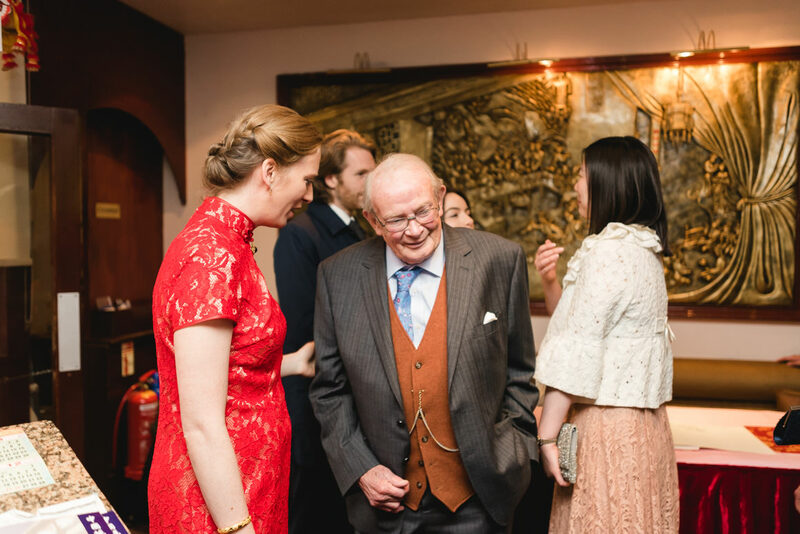 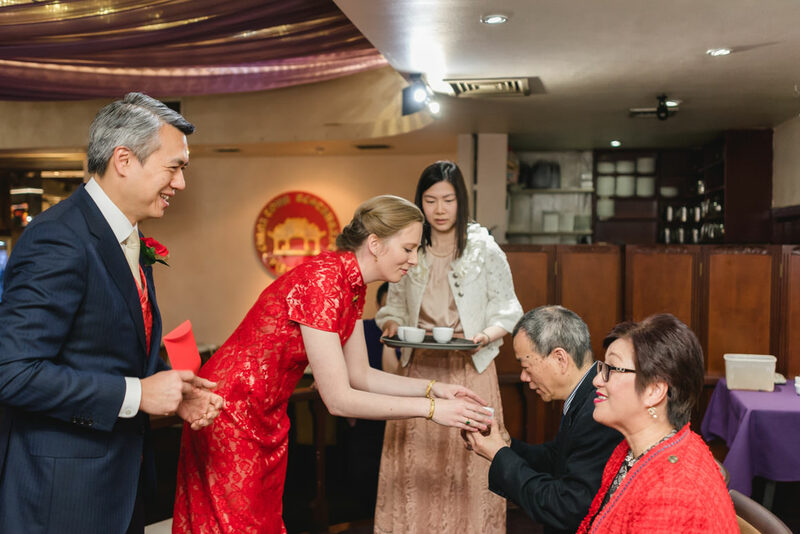 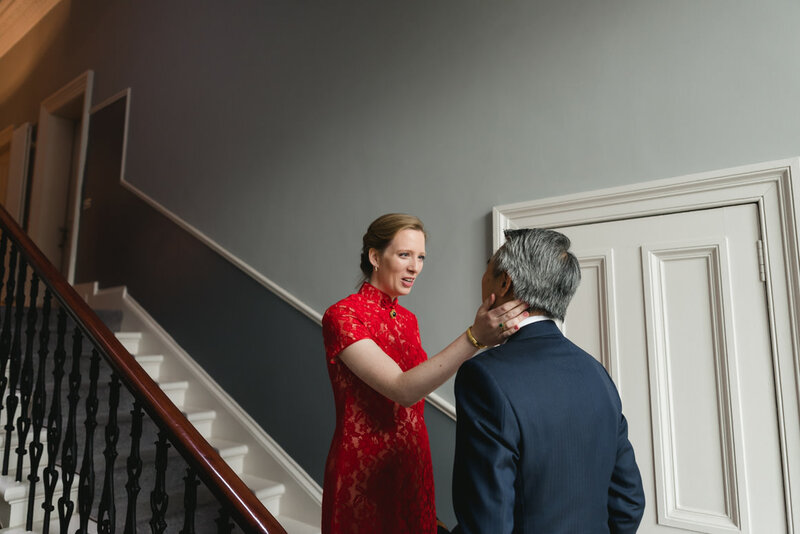 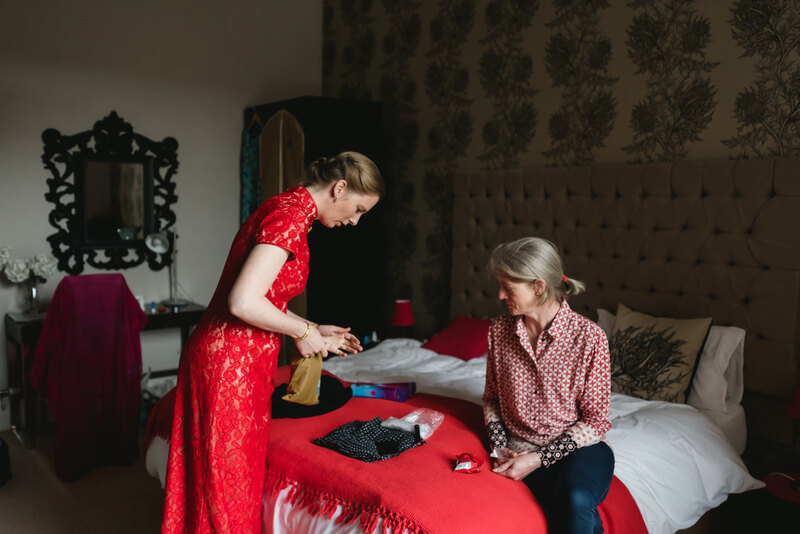 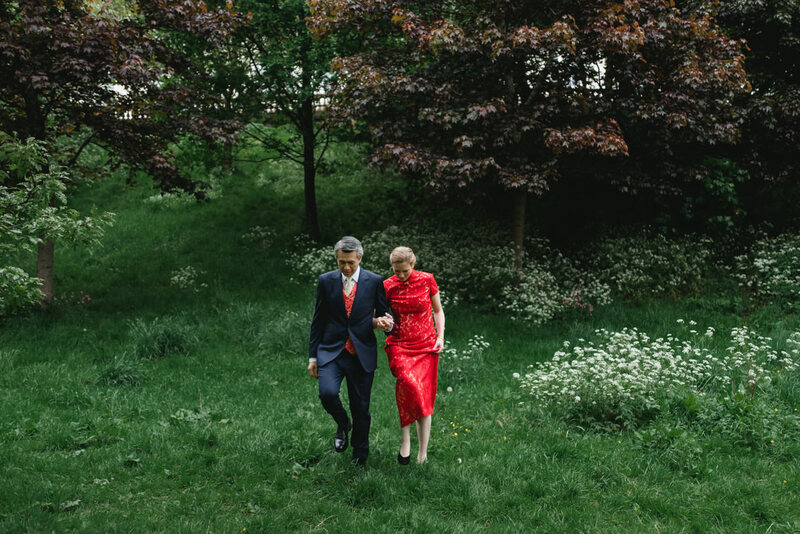 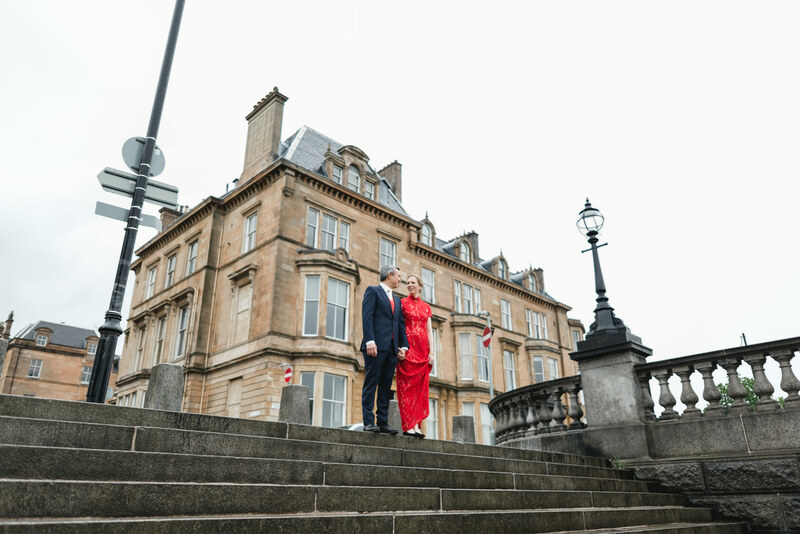 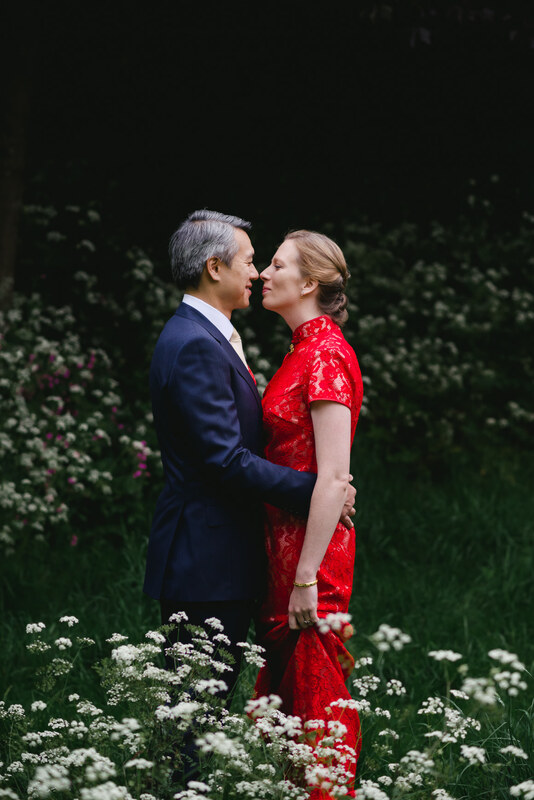 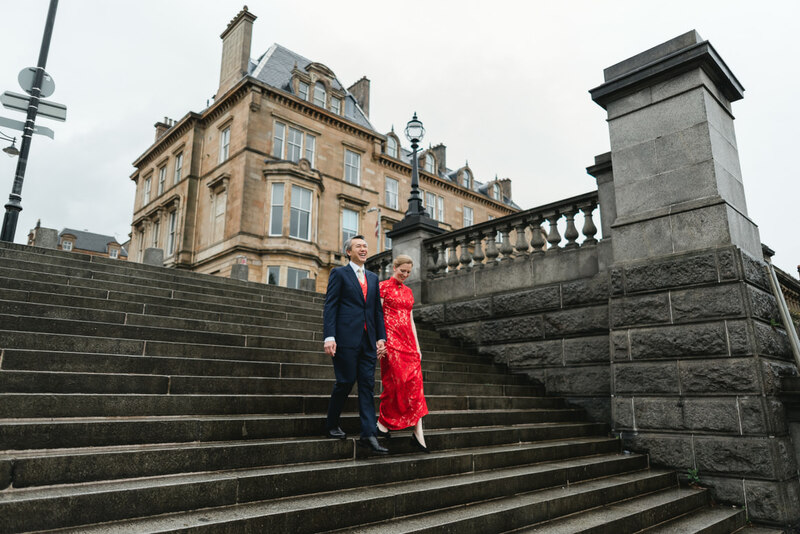 Hattie wore a beautiful red lace Chinese inspired dress, along with the beautiful gold jewlery she had been gifted at their London wedding. 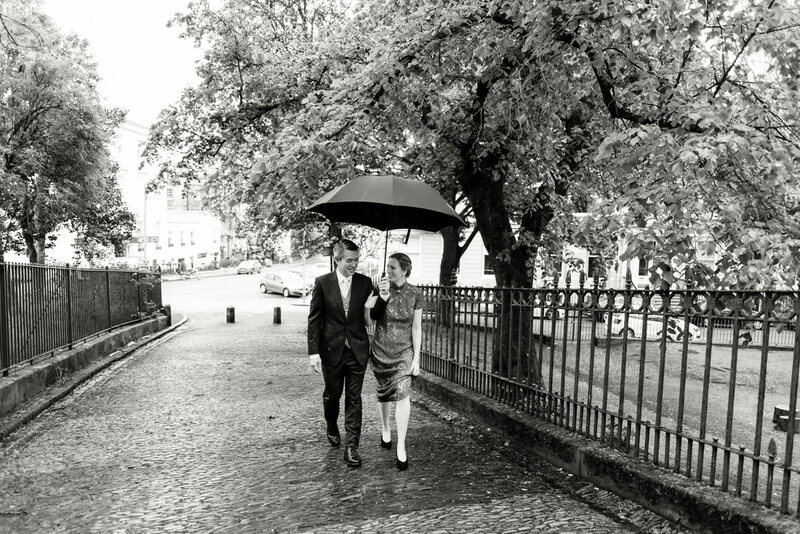 I love that they didn’t care how wet it was, they wanted to have the green of the park in their photographs. 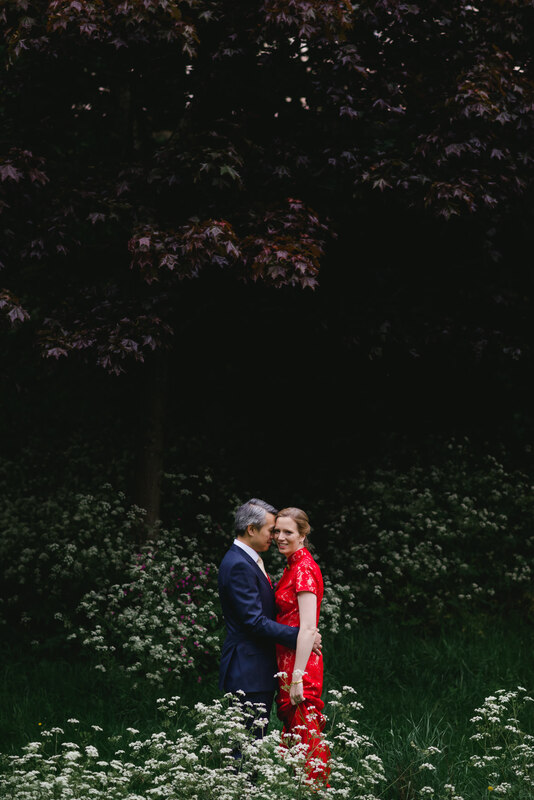 Anytime I suggested somewhere to go they very happily trusted me. 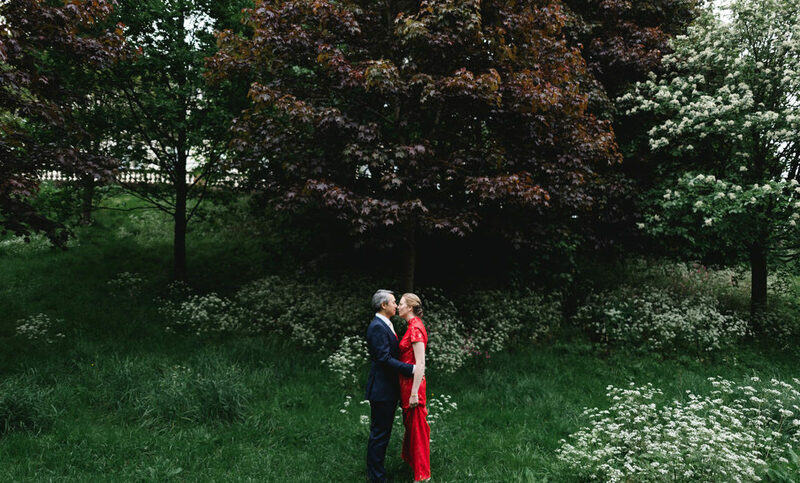 Hattie’s red dress stood out in the overcast weather agains the dark leaves of the large trees in the park. 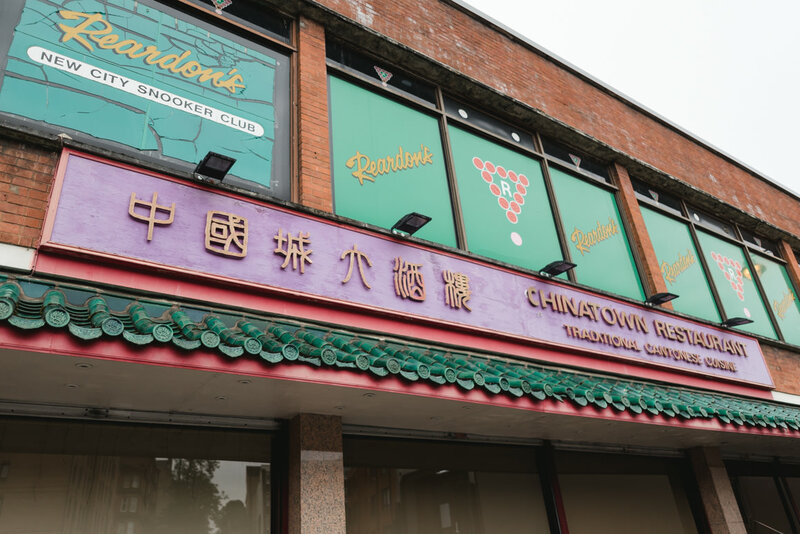 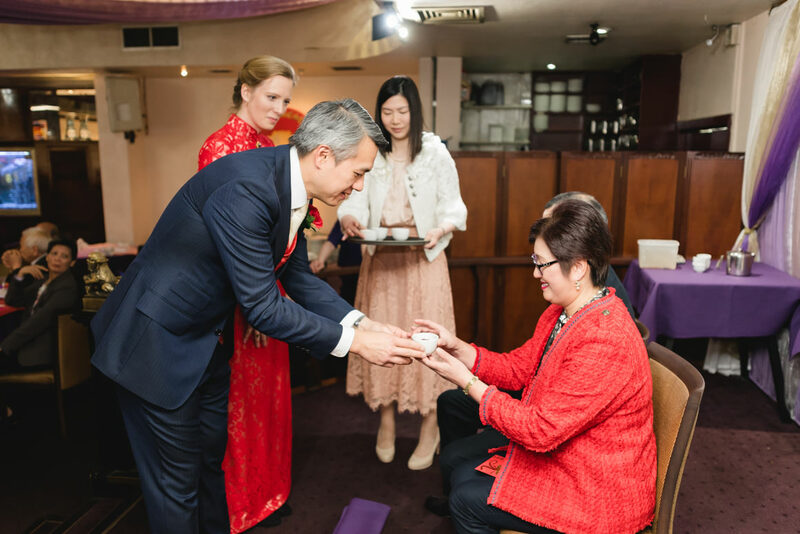 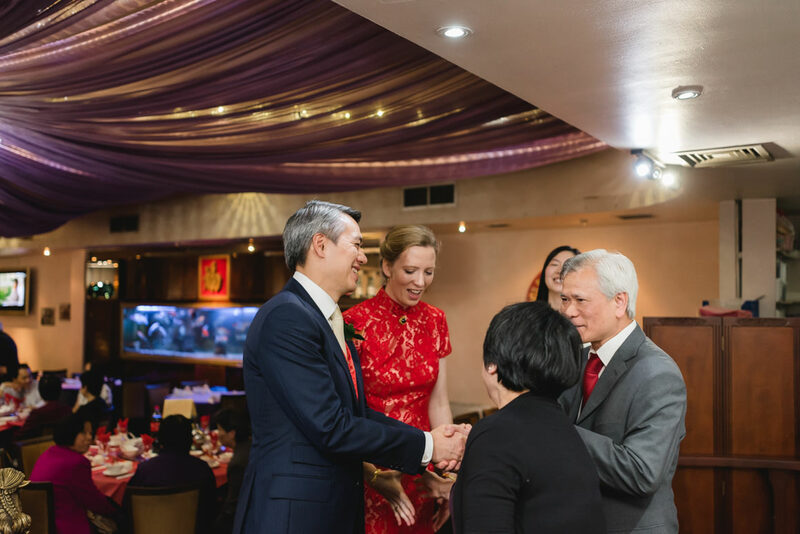 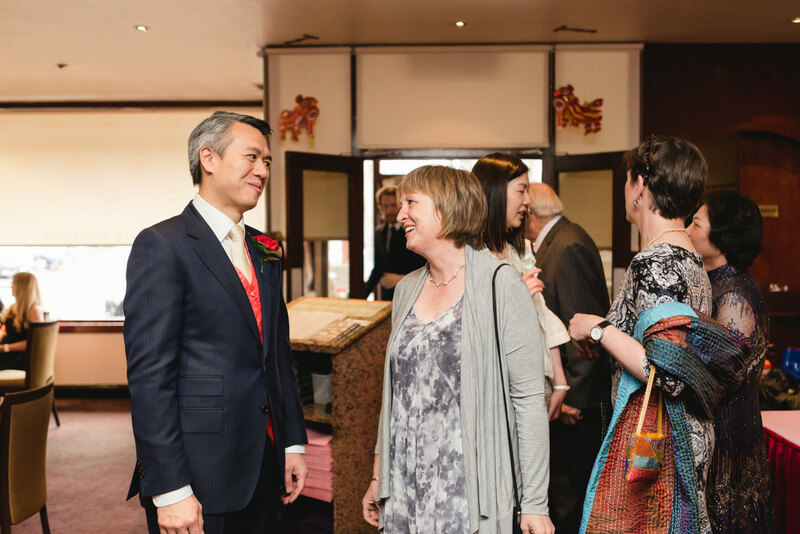 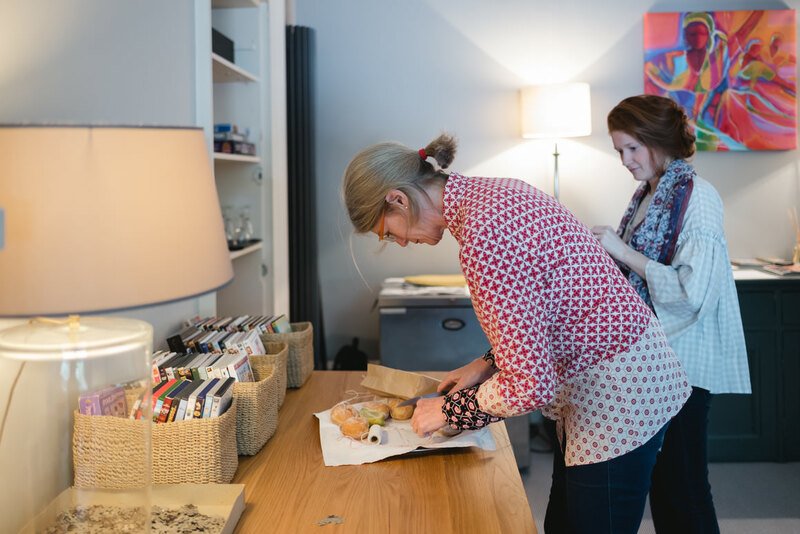 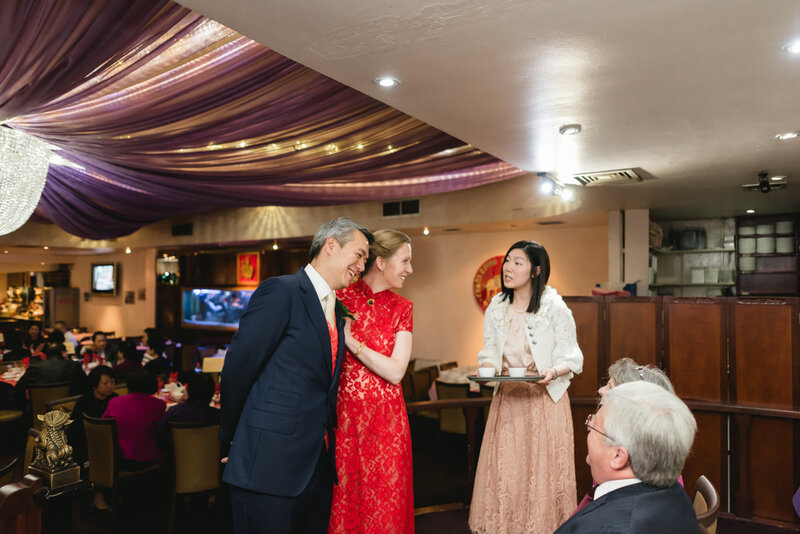 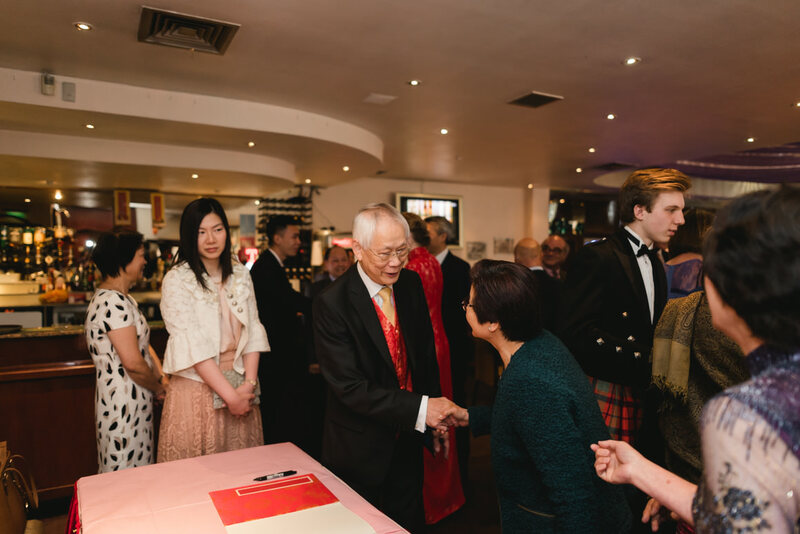 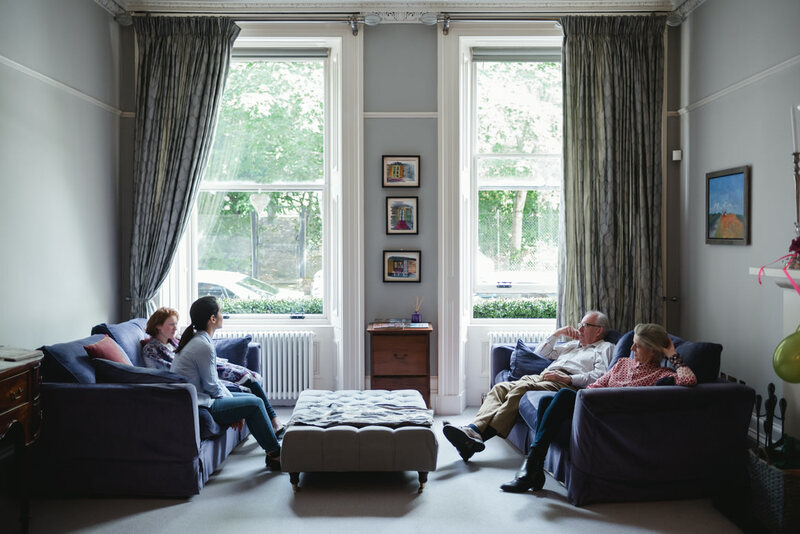 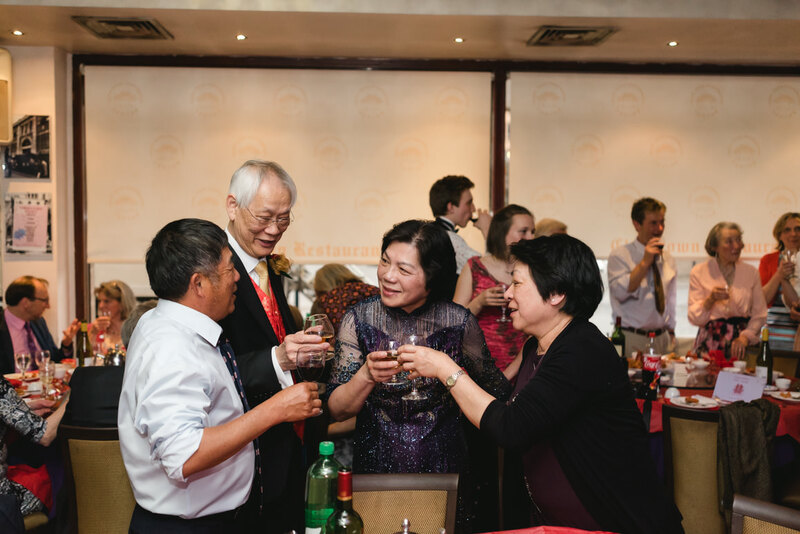 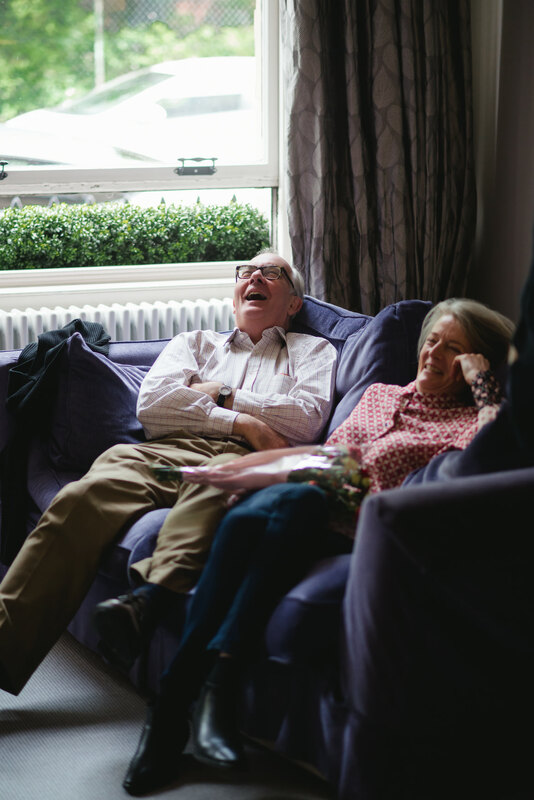 We then met their guests over in Chinatown at Cowcaddens for their Chinese banquet and tea ceremony.